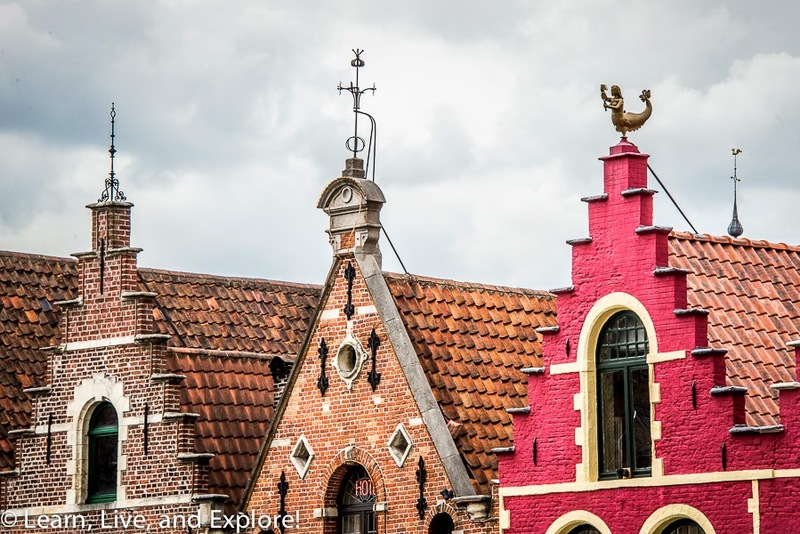 A Week in Belgium: Bruges ~ Learn, Live, and Explore! 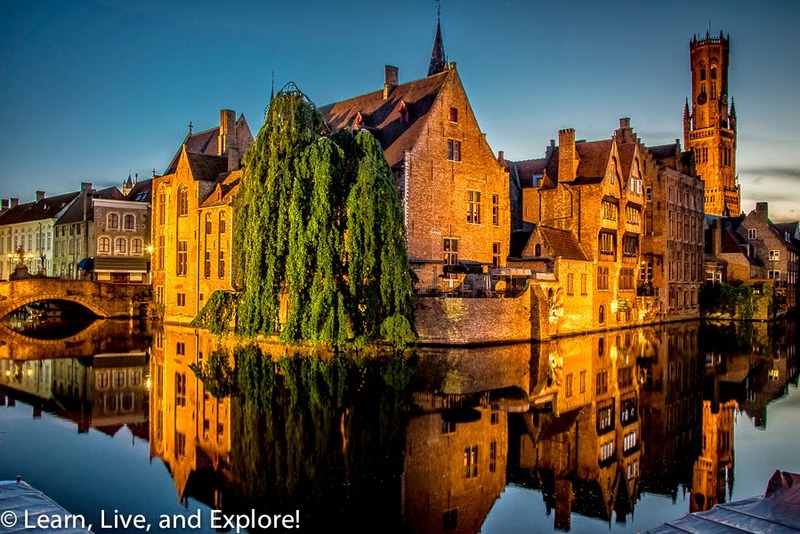 Bruges is a "can't miss" stop on a tour of Europe. 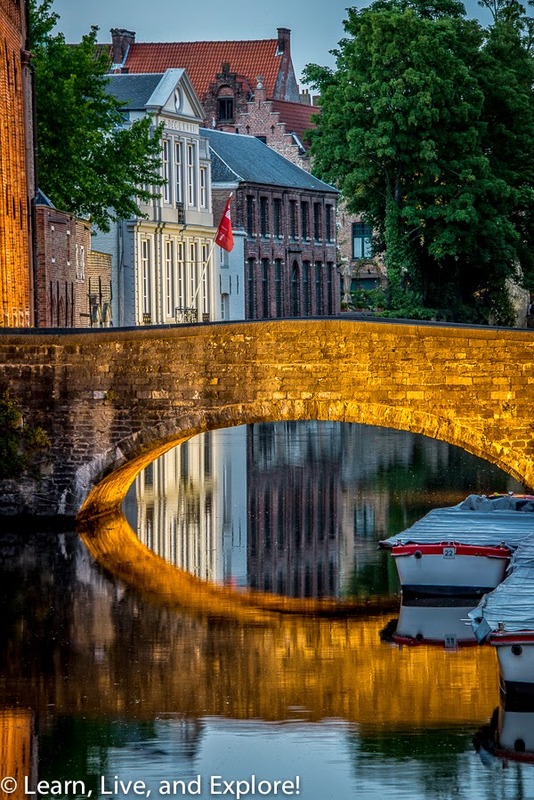 Nicknamed the "Venice of the north" for it's cute 900 year old canal system and historic buildings, Bruges encourages you to get lost in its history and culture along its medieval streets - I mean literally get lost because medieval street layouts get confusing! While this city is a European treasure, it's definitely not a hidden secret, so prepare yourself for crowds. 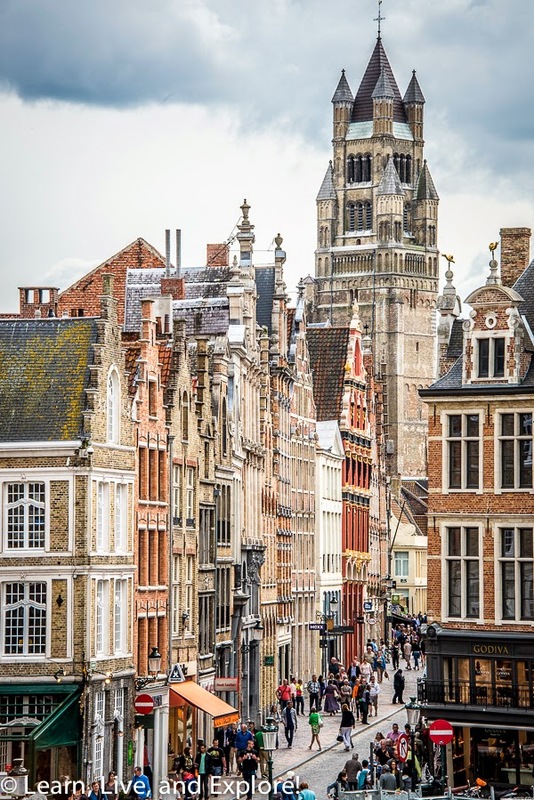 It is a very popular day trip or overnight trip from Brussels, in fact Sandemans New Europe, that I mentioned in my Brussels post, does a quick guided trip out there as well. Depending on the time of year, this popularity will definitely have an impact on the cost of your hotel room (ours was outrageous for what we got!) and your ability to eat at the restaurant of your choice because many are booked. 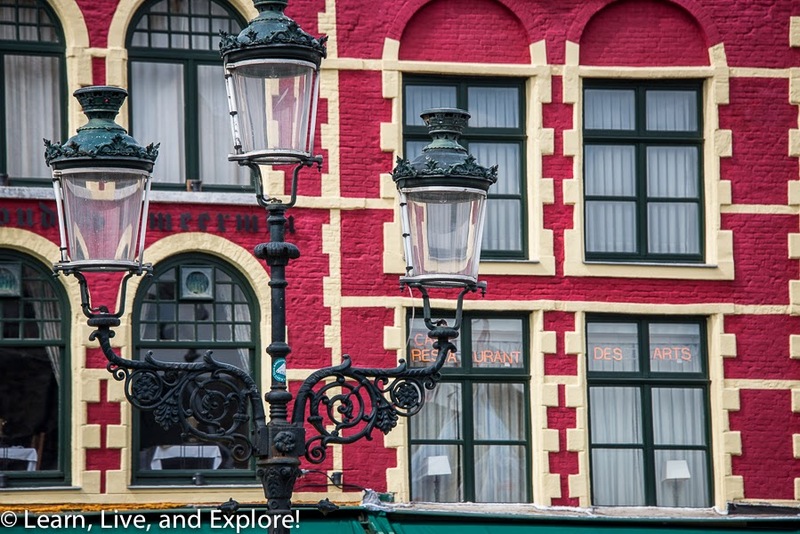 Plan to spend at least one night, ideally two, so you can also see the city light up and try some of its restaurants. 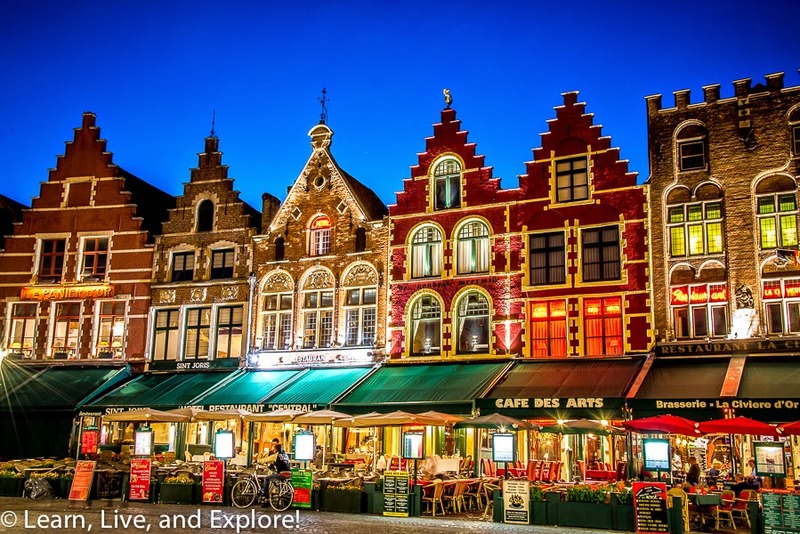 I've actually been in Bruges once before when I was in college doing the classic "backpacking experience." At the time, I was dating someone before I left on my 5 week adventure, and by the time he met me during the last week, I already knew a break up was imminent. 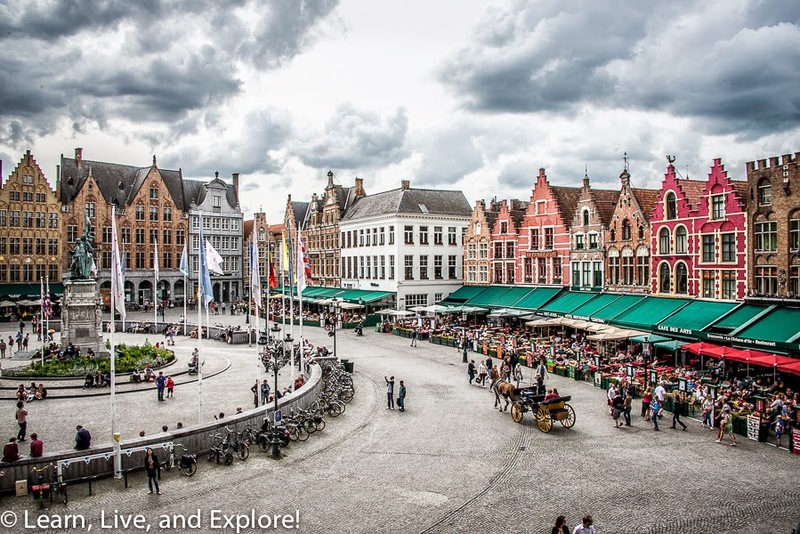 So, all I could think about when we were in Bruges was that dreaded "I'm just not that into you" conversation I had to have with him and I have no other memories of the city. 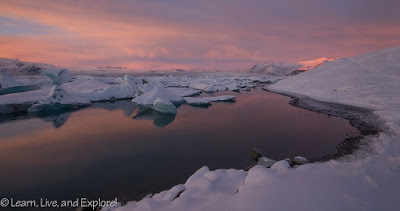 Thankfully, I did it right this time and wandered the streets like a pro, capturing photos and impressions. 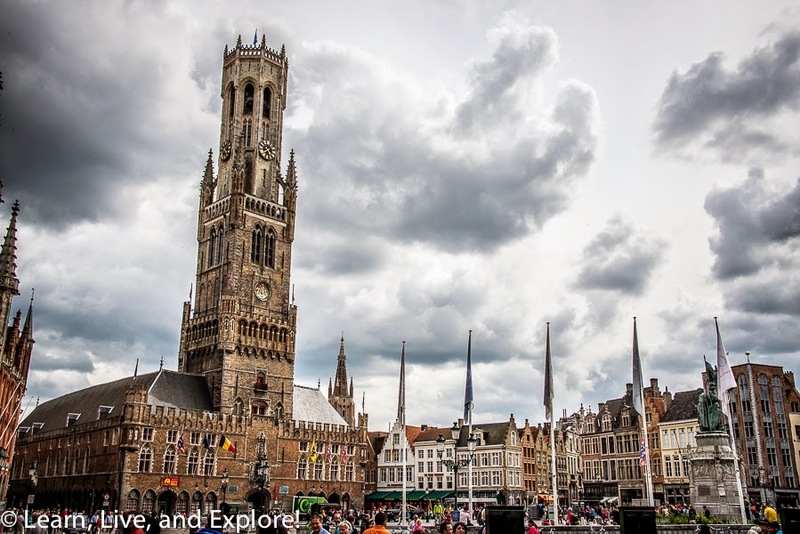 Here are some of my thoughts on what to do in Bruges. This is very likely going to be your starting point. Take your pictures here, but avoid the restaurants if you can because they will be very overpriced for bad food. For a different perspective, head up to the second level of the Historium where there is a cafe and a nice balcony with a view. The cafe is free to access, offers a selection of Belgian beer to purchase, and is a good source for free wifi. You can take a boat if you prefer, but I think it's equally great to explore by foot. Some of the more popular views are near the Woolstraat bridge. Make sure to do the canals both during the day and at night. If you like Picasso and Dali, there are currently two exhibitions in Bruges. The Picasso Expo is housed in an old hospital and includes his work as well as others of his era. 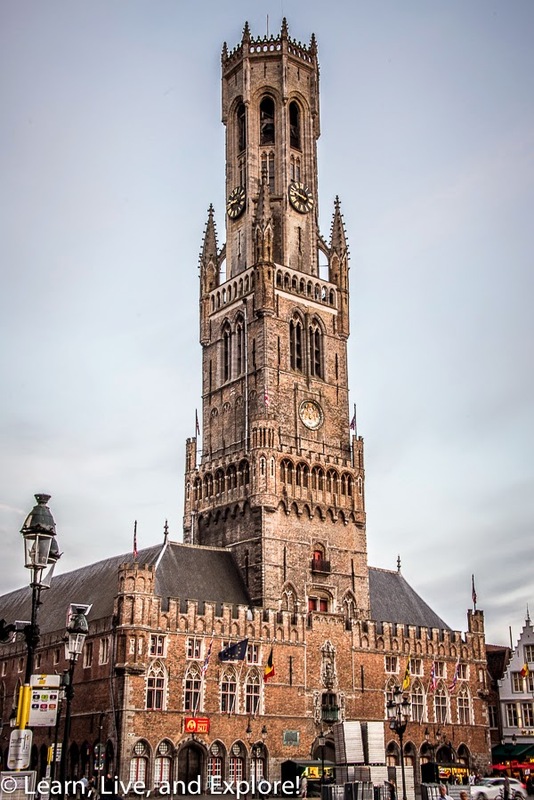 The Dali collection is in the Belfry in Grote Markt, and holds a private collection of Dali work. I understand it may even be possible to buy original works, including the more "affordable" sketches, from the exhibit. This is the only brewery that remains in the city center of Bruges. Established in 1856, this brewery is a great place to not only learn more about the Belgian brewing process but the history of the city. At only 7.50 euros, the tour is entertaining and you get a full serving of their blond beer at the end! You will have earned that beer after climbing up and going down many narrow ladders! Like other Belgian cities, there are plenty of options for tasting some of the best beer the country has to offer. 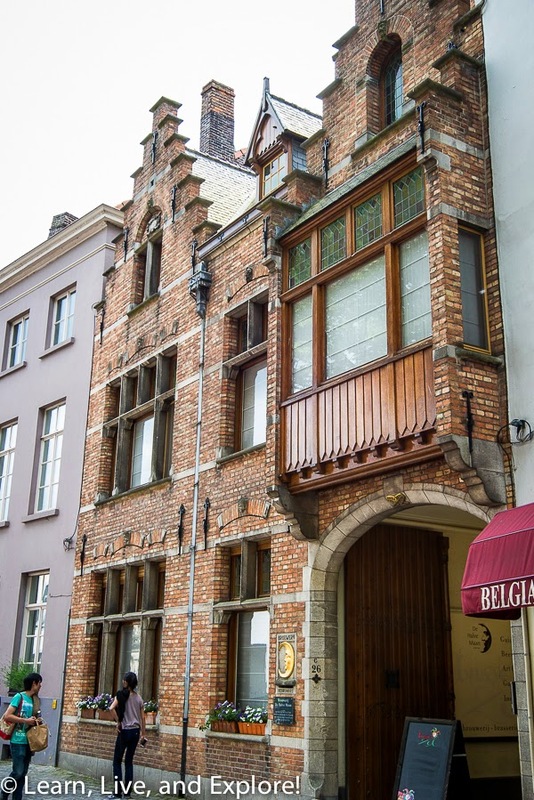 I would suggest two places in Bruges for you to try: (1) De Garre is a small bar down an equally tiny alley on Breidelstraat just off Woolestraat and (2) Bierbrasserie Cambrinus on Philipstockstraat has a ridiculously large, 36 page beer menu!